Raspberry Chipotle Sauce: Spicy and Sweet! 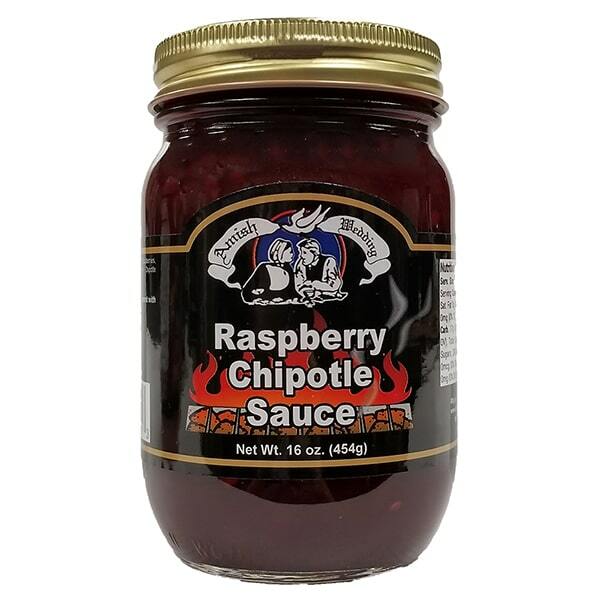 Great as a glaze or a dip, our raspberry chipotle sauce is locally made with natural, quality ingredients for delicious results. The blend of jalapeno, chipotle and habanero peppers give it hot, spicy flavor while the raspberries add a touch of sweetness. Ingredients: Sugar, seedless red raspberries, water, jalapeno peppers, pectin, chipotle pepper, habanero pepper. Note: Produced on shared equipment with pecans.